Here is our new Adrift Super Surfer Wave Rider by Kai Martin. This wave rider features a space explorer floating through the abyss of space carrying spores and other life. Why choose a Super Surfer? 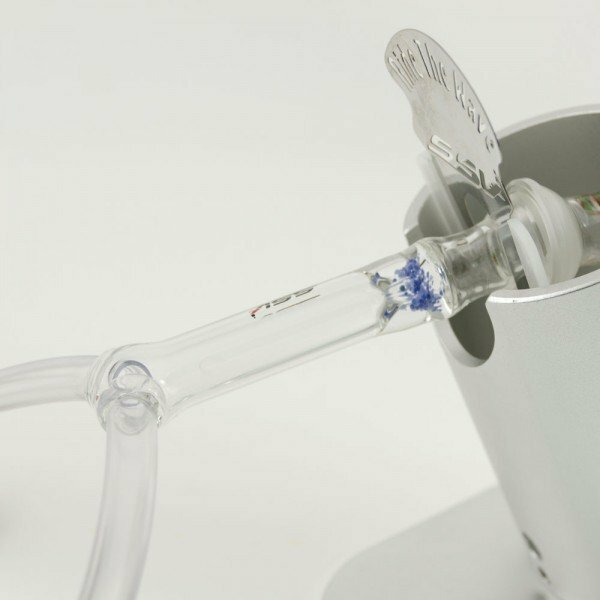 Turn your Super Surfer Vaporizer into the ultimate e-nail! This kit comes complete with everything you'll need to have flavored vapor! The Heater Cover is open for easy access and comes with an oil cap from dropping in your concentrates, as well as a ground glass cap to close the pathway up for filling bags! To finish the kit off, there is a small titanium cap that sits on top of your heater cover. Just drop a ceramic flavor disc and some flavored oil on top, and enjoy the tasty vapor! This package is built for daily vaporist. It comes complete with everything you need to get started vaporizing right out of the box! 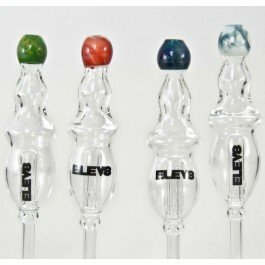 The Essential Oil Kit includes all of the pieces to convert your Super Surfer into the safest and most reliable e-nail on the market, and the glass Switchball Ashtray and Striped Glass Pick provide the finishing touch. The Aroma Top will keep your home smelling amazing the entire time!